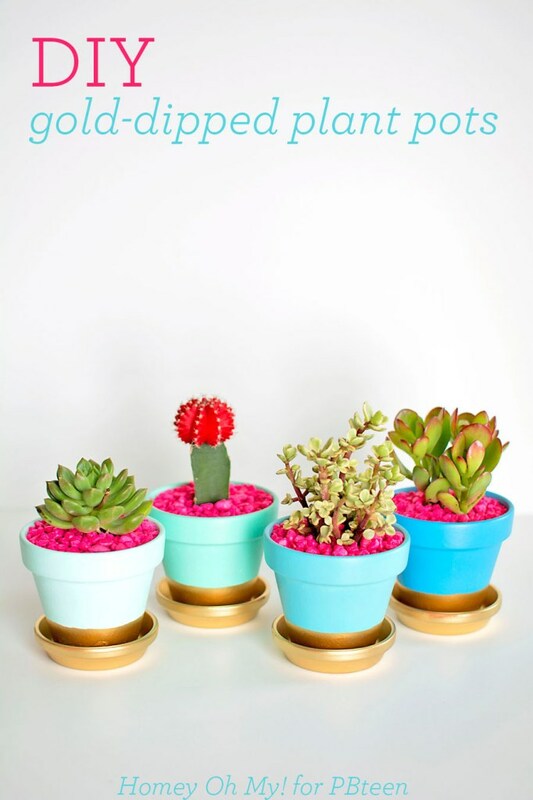 Decorating pots is an easy way to brighten up and add interest to any space. 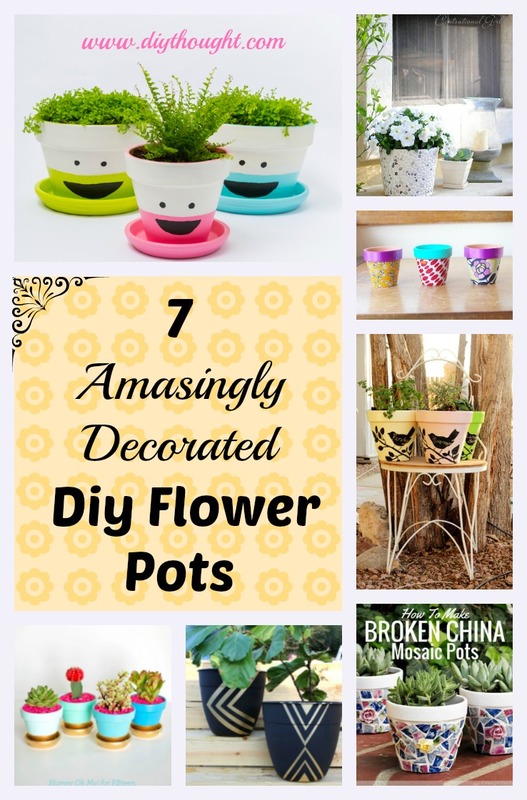 Not only do these 7 amazingly decorated diy flower pots look great but they are super fun to make! Decorating old pots is a great way to revamp them, saving money by not buying new. Keep reading to see the 7 amazingly decorated diy flower pots. 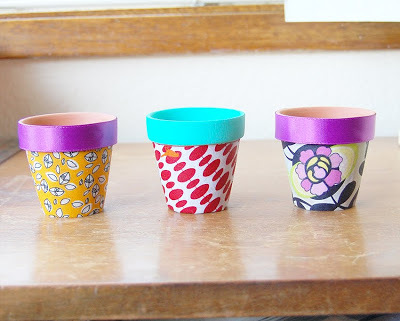 Grab some fabric and mod podge to create one of these funky flower pots. Perfect for indoor plants. Click here to find out more. 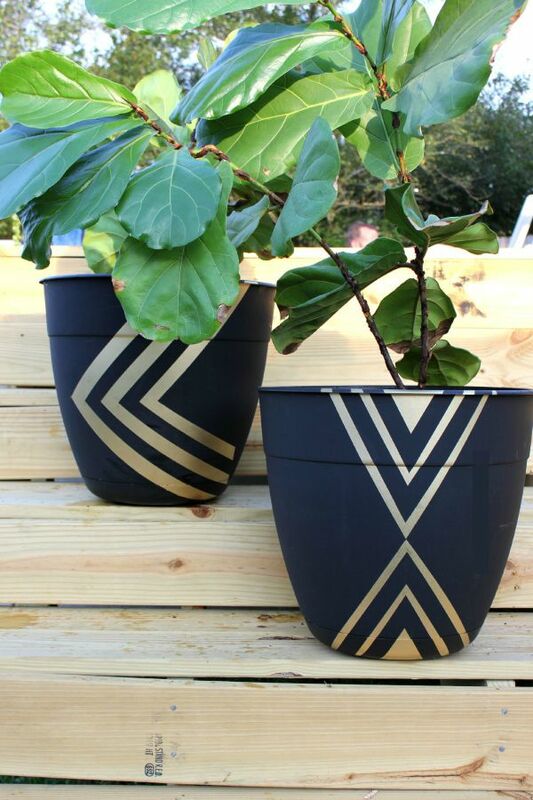 For the ultimate modern pot try this painted gold-dipped pot. Follow this link to find the tutorial. 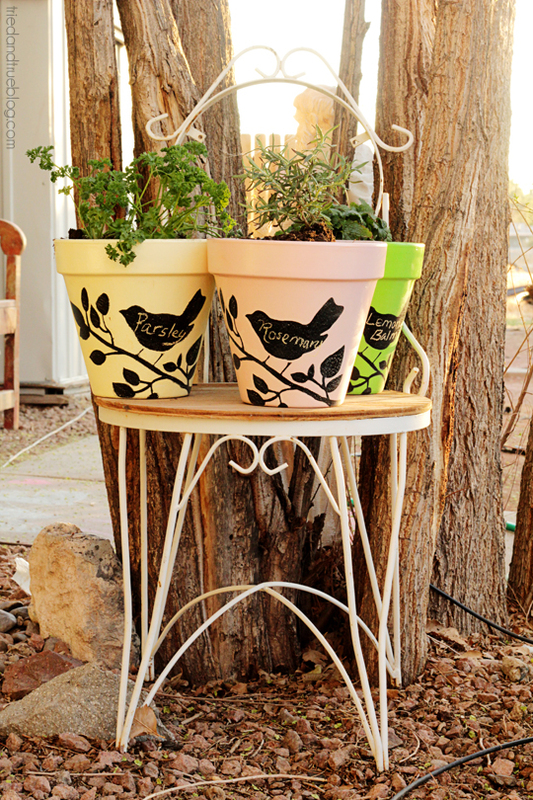 Use stencils and chalkboard paint to create these beautiful pots perfect for herbs. This would make such a lovely gift. Click here to get the full tutorial. 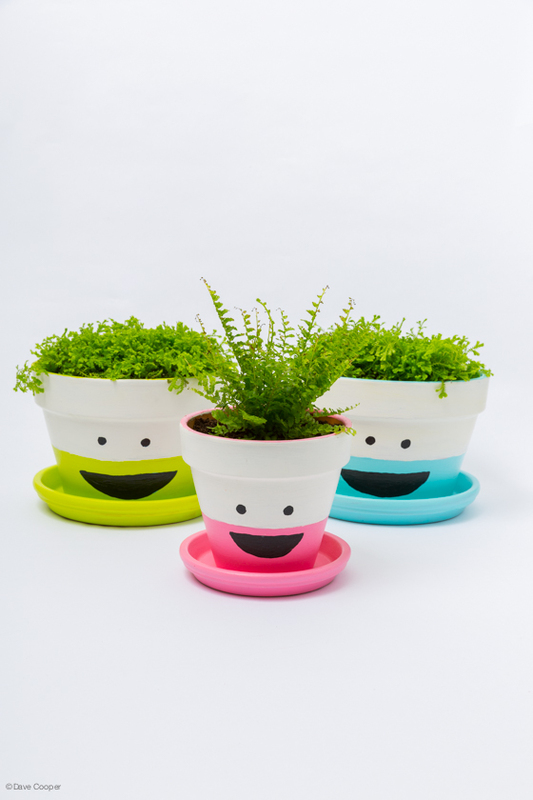 These happy flower pots couldn’t get any cuter! They are certain to bring a smile to your day. Click here to find the full tutorial. 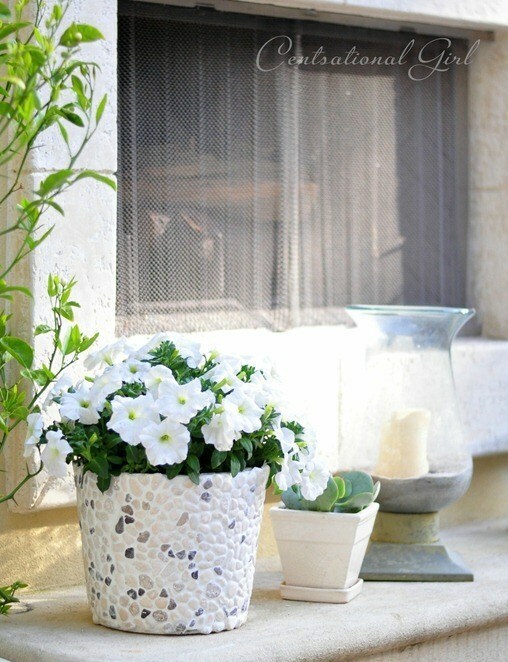 This amazing flower pot is made by covering a metal bucket with river rock mesh tiles. It complements the beautiful flowers perfectly. Find out more at Centsational Style. Sometimes the best things in life are the simplest. We adore the simplicity of this design and how easy it is to recreate. Simply tape and paint! Click here to get the full tutorial. 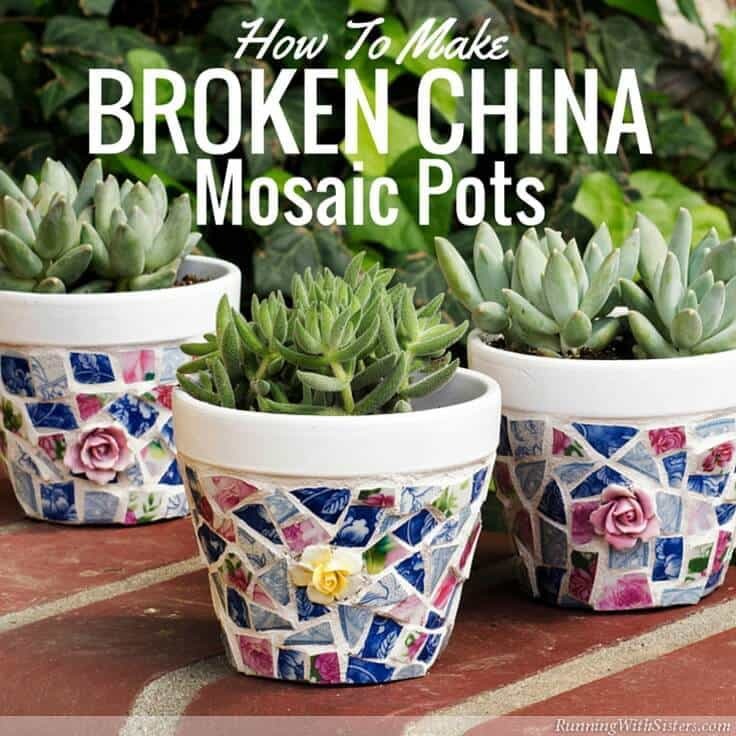 If you have never made a mosaic before then this is a great project to start with. So many different looks are achievable using this method. Find out more here.